Antlers reach their peak when the bull moose is between 6-11 years of age. After that the antlers start to recede each year. 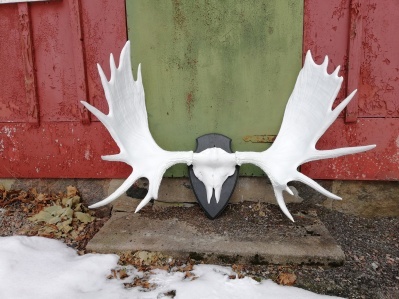 We currently have some real big sets of antlers in our collection. They probably belonged to moose in their prime years. 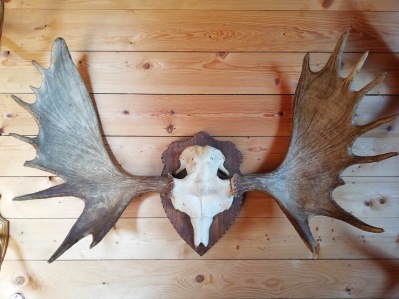 It's not easy to find antlers of this size in this good shape. Time to decorate your home with one of these wonders of nature! Get in touch with us to discuss picking-up or delivery possibillities.